Tanks rumble across the borders, jet fighters scream across the skies, submarines prowl the murky depths, and deep in a bunker a nuclear missile is prepped for launch. It is time for total war. Peace will only come when all your nation's enemies have been reduced to dust in the wind. No prisoners, no treaties, only when the world is totally conquered will the march of death and destruction halt. Welcome to the world of World Supremacy. 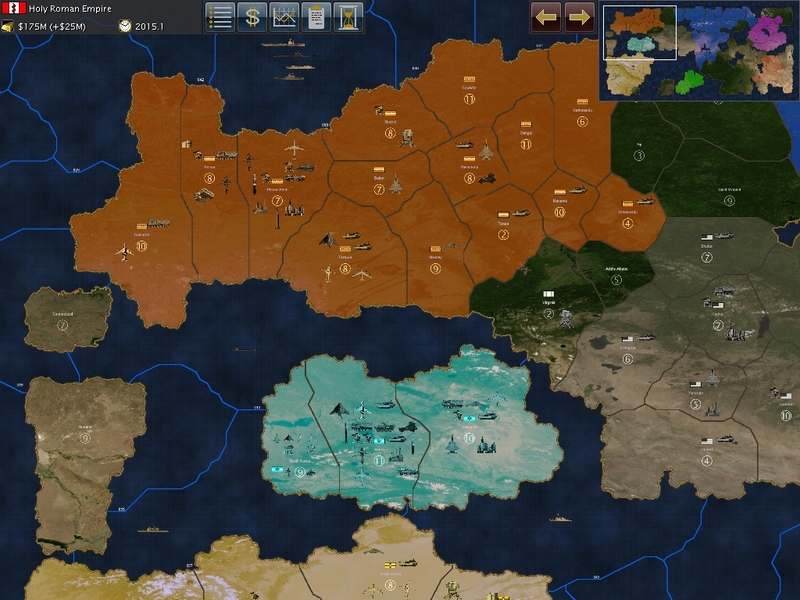 World Supremacy can best be described as a beer and pretzels style strategy game of global conquest set in the modern era influenced in part by classic board games such as Axis and Allies and Supremacy. As such the focus is on expanding one's borders through pure combat. 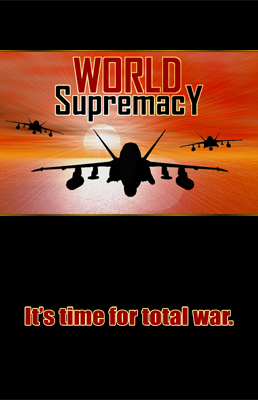 In World Supremacy one to eight players compete for control of a randomly created world by using an arsenal of combined arms. From boots on the ground to neutron bombs raining down from the heavens the tools of annihilation are many and varied. 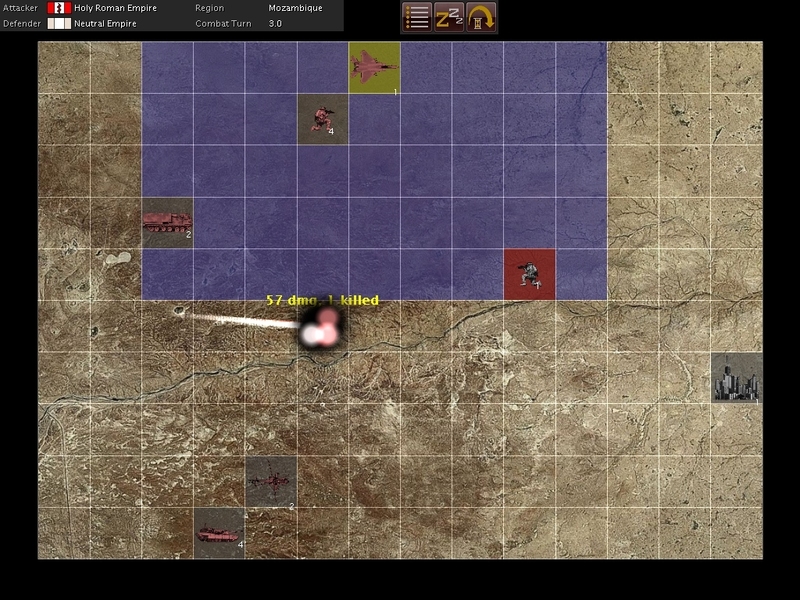 Combat is fast and furious, with players fighting on a tactical map when forces meet on the strategic map. In keeping with the fast paced nature of the game both economic development and research are handled in very manageable ways. Your war machine is fueled by money gained through territorial gains and the number of cities you control. Cities can be leveled by nuclear strikes though. Units may be upgraded through research, up to three levels. 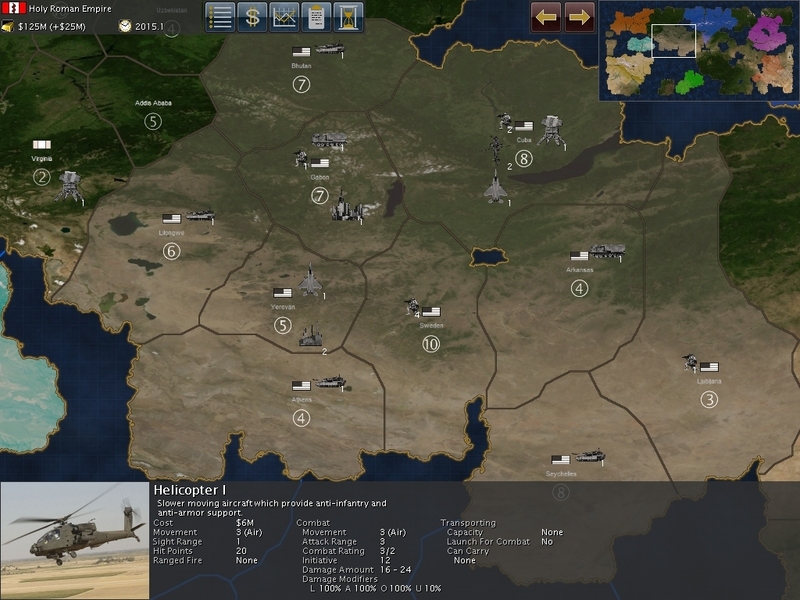 Games are played on generated maps in which the players can modify a number of variables to create their version of the perfect playing field. Gamers wanting even more control will be happy to know that World Supremacy supports user created maps. Not only can gamers make their own maps they can mod other facets of the game, too. 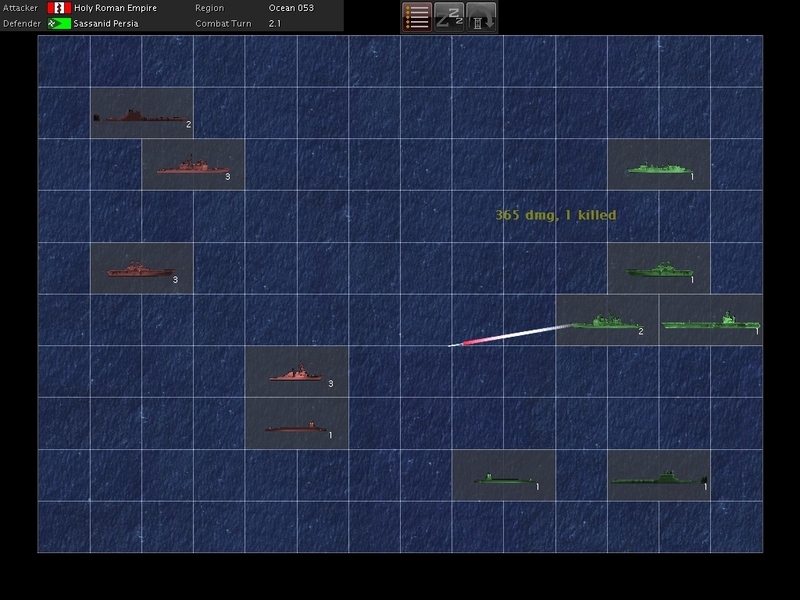 World Supremacy is a strategy game that will last a long time on your hard drive. With its variable game settings, multiplayer capabilities, and mod-friendly nature World Supremacy is highly replayable. Haven't you ever wanted to rule the world? 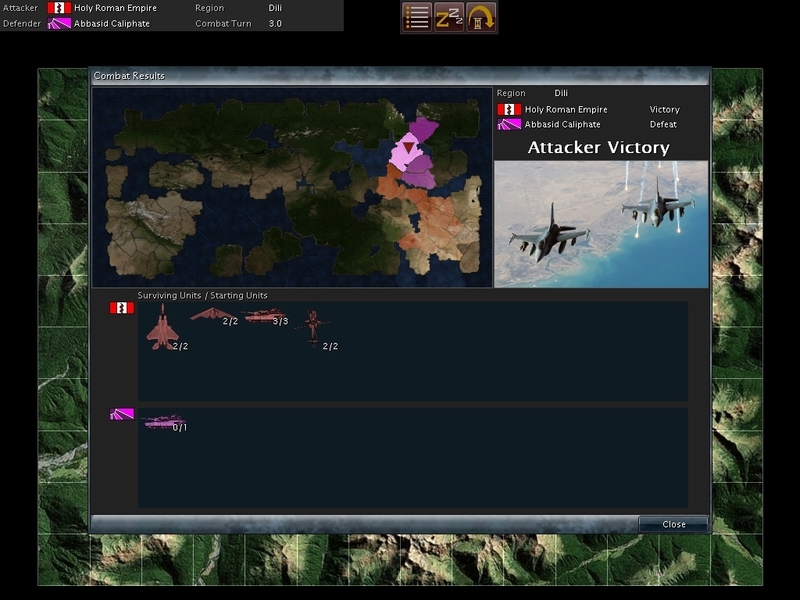 - Turn based IGOUGO light strategy game of global conquest. 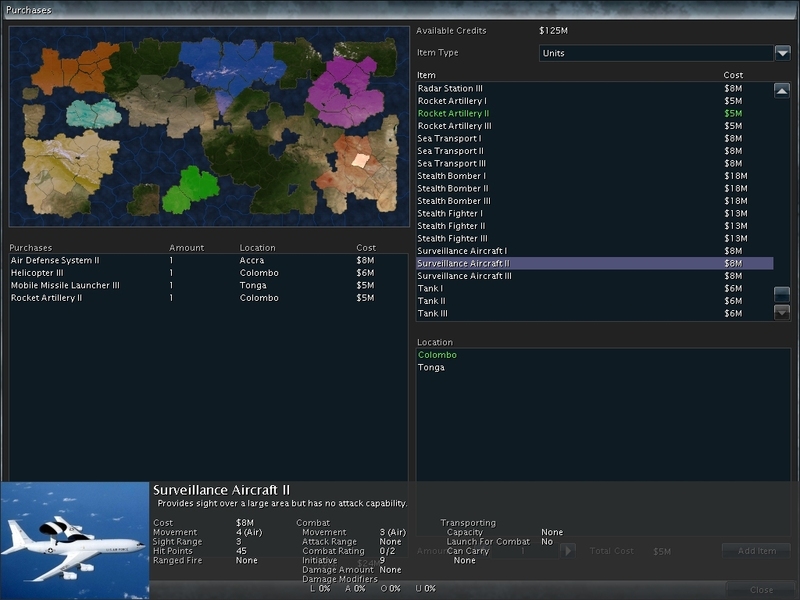 - Randomly created (can also be user created through mods) area-based maps. - One to eight players. Multiplayer supported through hot seat or TCP/IP connections. 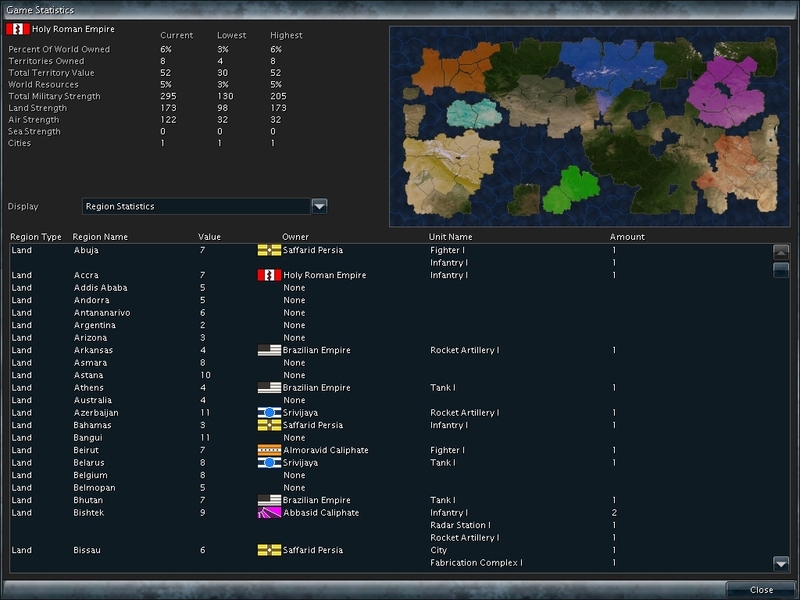 - Some variables the players can set before a game: allow neutral nations, fog of war, starting technology level, starting nation size, starting money, and more. - Thirteen land unit types, eight air unit types, and seven sea unit types. Each has three possible levels of improvement. - Economy is based on the base value of a territory and city control. Cities can be destroyed and players may also build new cities. - Combat takes place on a tactical map. Although combat occurs tactically in keeping with the overall spirit of the game it plays fast. - Nuke'em 'til they glow! 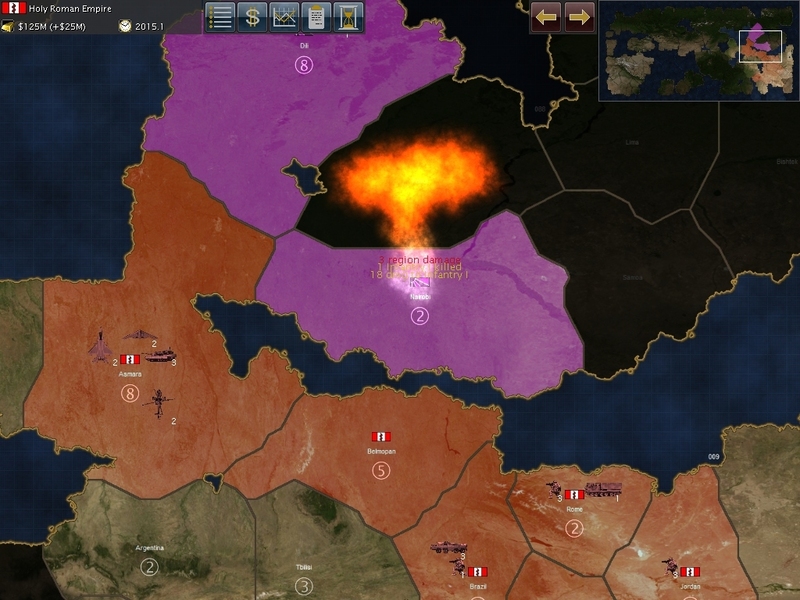 Players can build territory spoiling nuclear weapons and infantry killing neutron bombs. - Neutral nations can exist. While they will not expand they will actively seek to defend their territory. - Mod friendly. Some aspects of the game are hard coded but many elements, such as maps and unit values, can be easily modified and shared amongst users. - From the creator of the highly acclaimed Space Empires series. Conquering the world is just as addictive as conquering the universe. Average Customer Rating: based on 4 reviews. Now that Aaron came through with the patch, this game is ready for prime time vs the AI and can be recommended. Haven't tried PBEM yet, but I'm sure that's even more challenging. The larger maps last a longer time, though. Thanks again for that patch!